We offer full cat grooming for all needs and all breeds. – Claws clipping, ear and eye cleaning are all part of our grooming session and free of charge! – We offer dry or wet bath and we only use top quality shampoos top care lines by John Paul Mitchell and coat conditioners. – We groom from regular brush outs to the severly matted cat coats. – We blow dry by hand and we do hair styling after a wet bath. And of course we will support and help you to keep his or her coat in tip-top condition between grooming sessions, including advice on cat grooming products. To keep a cat’s coat in good condition we recommend visiting our professional groomer every 4-6 weeks! 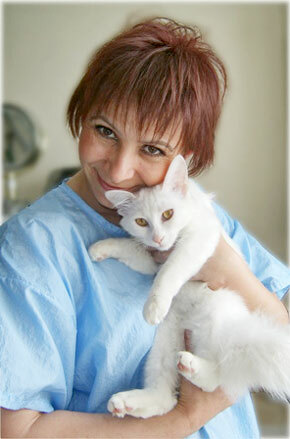 We can arrange mobile Cat Grooming Service in London and surrounded areas. The mad cats are a laugh! And even the bad cats need a bath!